Leith Hill Place was the childhood home of Ralph Vaughan Williams who gave it to the National Trust in 1944. His grandparents, Josiah Wedgwood III and Caroline (née Darwin) moved there in 1847 and his great uncle, the famous naturalist Charles Darwin, conducted experiments in the grounds. In July of 2013 the house was opened to the public for the first time since the 1960s and welcomed over 8000 visitors. As a work in progress there is still a lot of work to be done but the house is starting to feel loved again and the National Trust is breathing life back into it. Evening view from the terrace at Leith Hill Place. Tour lasts approx 40 mins and is by free timed ticket available from the front desk. Climb to the second floor to join the Soundscape tour – a shared experience about the life and music of Vaughan Williams. Part audio guide, part art installation, the tour gives an insight into the story of the composer and his music, placing it firmly in the context of this house and revealing something of the character of the man. Don’t miss this unique experience. 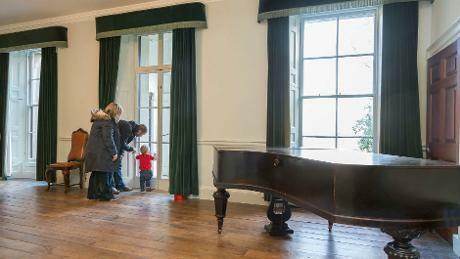 Thanks to a private donor, visitors can now see Vaughan Williams’s composing piano on display at Leith Hill Place. Parking for the house is in the Rhododendron Wood car park RH5 6LU. 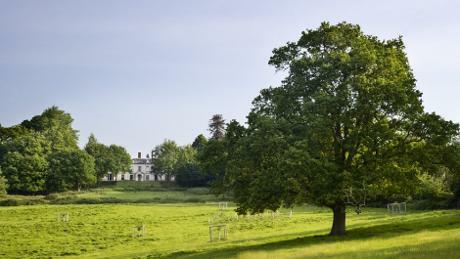 From the car park, enjoy a leisurely walk down through the woods and over the field, 400m to the house. In wet weather, the route can get muddy. Alternative car parks are at Windy Gap or Starveall Corner (not NT) or you can use the new Sunday Rambler bus service operated by Buses 4 U from Dorking Station. See http://www.buses4u.org.uk/ for details of this new service. Each year a number of special events and recitals take place. Recitals take place in the intimate setting of the Terrace Room at Leith Hill Place – the very drawing room where Vaughan Williams took his first musical steps. Enjoy beautiful music whilst looking out over the glorious views, with drinks outside during the interval, or in the Wedgwood Room. 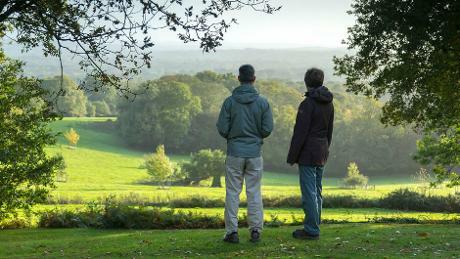 For more details click here to visit the National Trust’s Leith Hill Place page. 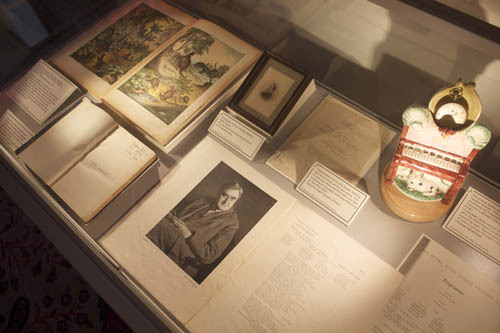 A room has been converted into a small museum, displaying the composer’s piano, an exhibition of manuscripts and letters and other memorabilia, and a timeline of his life (see photograph of cabinet above). In an adjoining room, you can watch a beautiful video presentation of his life created by Ralph Vaughan Williams Society member, Colin Lees. 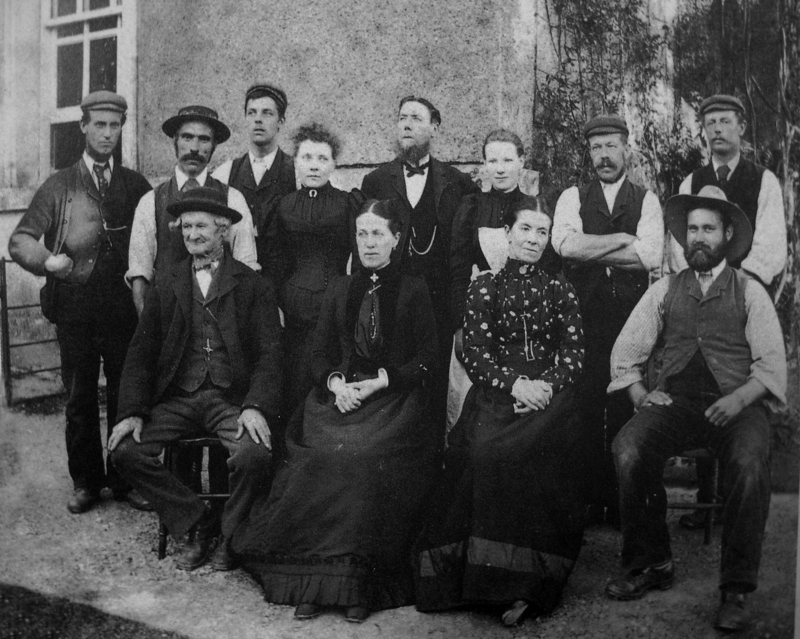 Please consult the National Trust’s Leith Hill Place website for details of opening times and access arrangements. To contact Officers of the Ralph Vaughan Williams Society please click on the links.